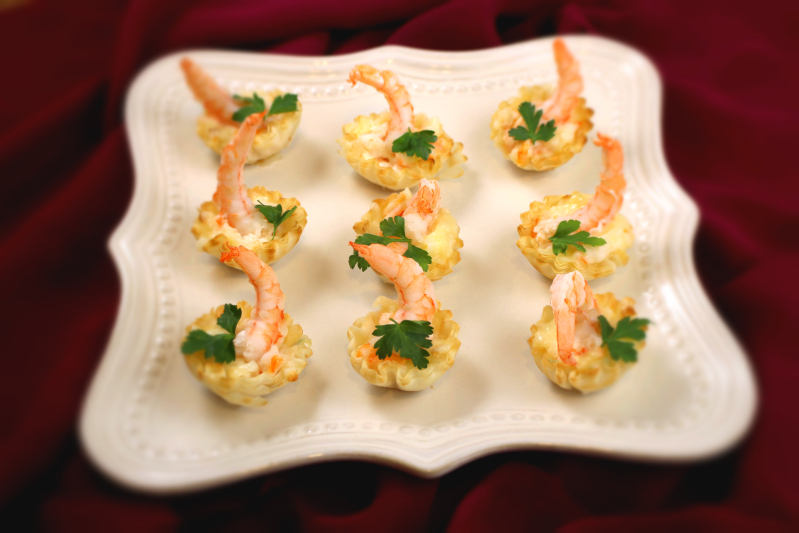 Take a different spin on a shrimp appetizer with cheese and puff pastry!The cheese goes perfect with the crunchy taste of puff pastry. Takes no more than 7 minutes, and will definitely bring you compliments on taste and looks of it. 1.) Divide your already cooked shrimps from the shell side. 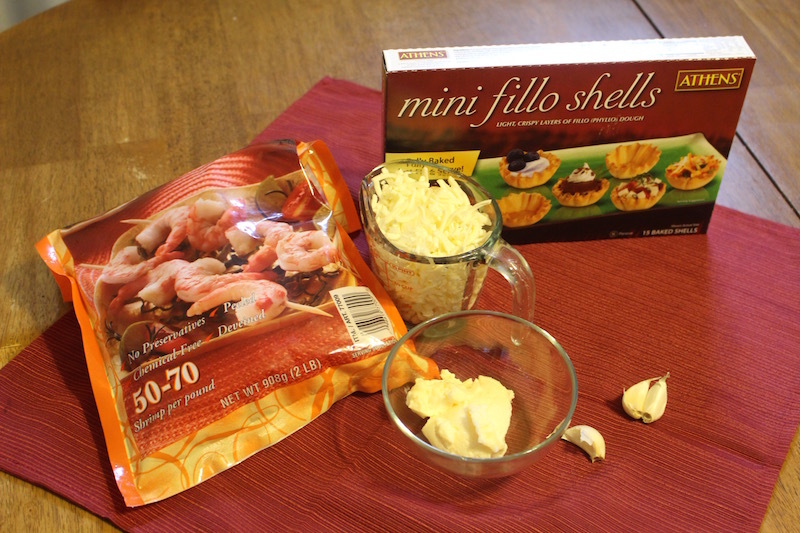 In a small bowl combine your shrimps, cheese, mayonnaise and crushed garlic then mix well. 2.) With a spoon add portions of the mixture to each tart shell. 3.) 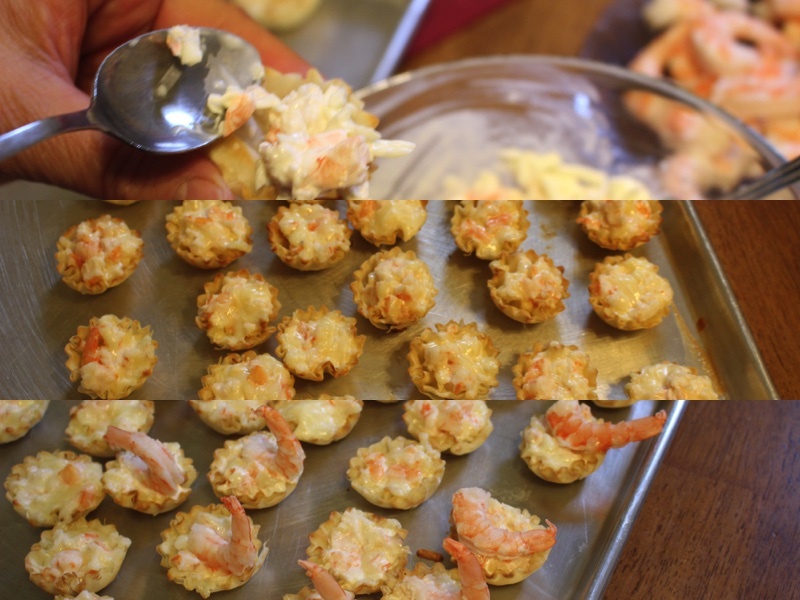 Cook at 400F for 5 min, once they are done cooking take them out and place a shrimp on the top of each tart shell and your done! Place on a serving dish and enjoy! Divide your already cooked shrimps from the shell side. 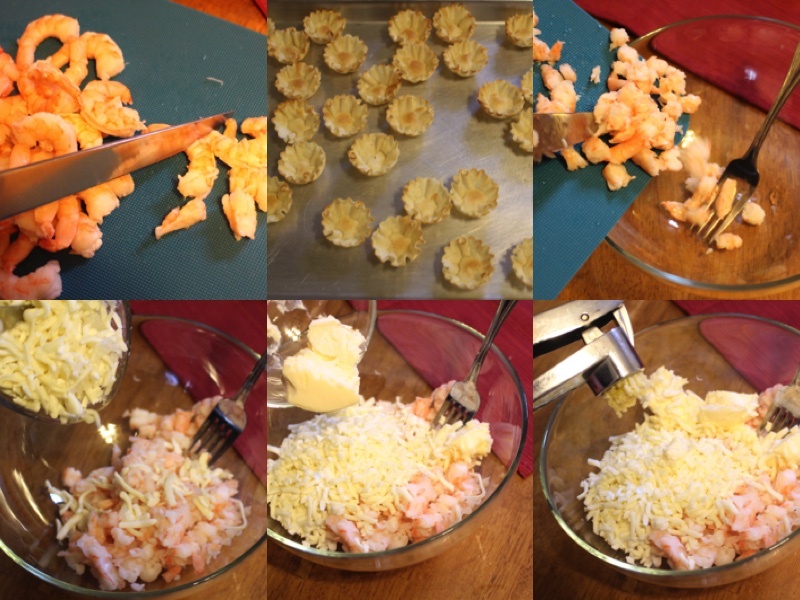 In a small bowl combine your shrimps, cheese, mayonnaise and crushed garlic then mix well. With a spoon add portions of the mixture to each tart shell. Cook at 400F for 5 min, once they are done cooking take them out and place a shrimp on the top of each tart shell and your done!